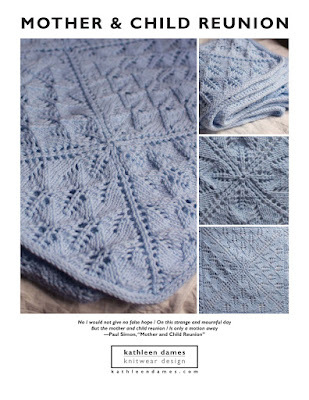 Now that summer is squarely upon us (no pun intended), and the Solstice arrives on Sunday, I'm looking for some travel knitting. For me travel knitting means shawls: one skein of beautiful laceweight yarn that squishes easily into my purse or carryon + one long circular needle so that no stitches will be lost + one compelling pattern. 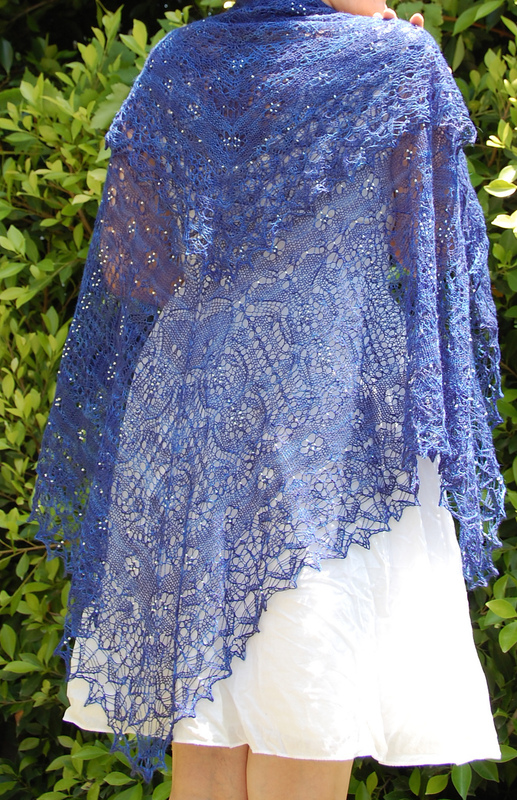 Have you ever worked a square shawl? What's your favorite on-the-go type of knitting? Be careful with those beads when traveling, though! be sure to check out the projects pages! 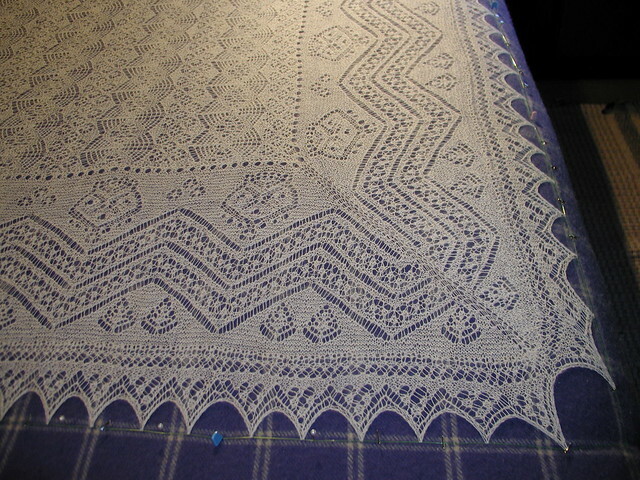 And I can't forget the square "travel" shawl I designed for myself a few years back: Hap-py (updated pattern layout coming soon!) $7 USD. I just loved knitting this one! There are plenty more beauties in this category. Click here to see for yourself. 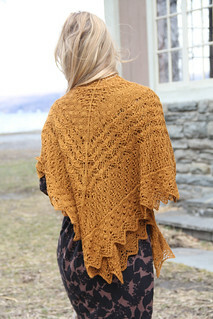 So, what travel knitting do you have planned for the summer? Let me know in the comments below.